﻿It was inevitable that the 2006 animated film Cars would receive a video game tie-in and just like its predecessor the upcoming sequel will also be seeing a game based the Cars universe.﻿ Amidst all the pre-E3 games I've been playing recently Cars 2: The Video Game stood out for its pick up and play gameplay and charming cast of characters taken directly from the upcoming Pixar computer animated 3D film. ﻿I had a chance to preview the game at The Vault (literally an authentic old bank vault), located on King Street West in Toronto, and it's a fitting location considering the international espionage theme of Cars 2. Given the action spy premise of the movie the developers at Avalanche Software could have taken the video game in several directions that would have worked well, and decided a combat racing game would serve the franchise best. Based after the events of the movie, the games takes a leap away from Radiator Springs, the location of the first Cars, and has our cast of lovable characters enroll in C.H.R.O.M.E. (Command Headquarters for Reconnaissance﻿ Operations and Motorized Espionage), the international spy academy where talking vehicles train to become world-class agents.﻿﻿ The developers wanted to create as authentic of a Cars experience as possible so expect to see a number of your favourite characters from the first movie including racecar Lightning McQueen and tow truck Mater﻿, as well as newcomers Holley Shiftwell and Finn McMissile. 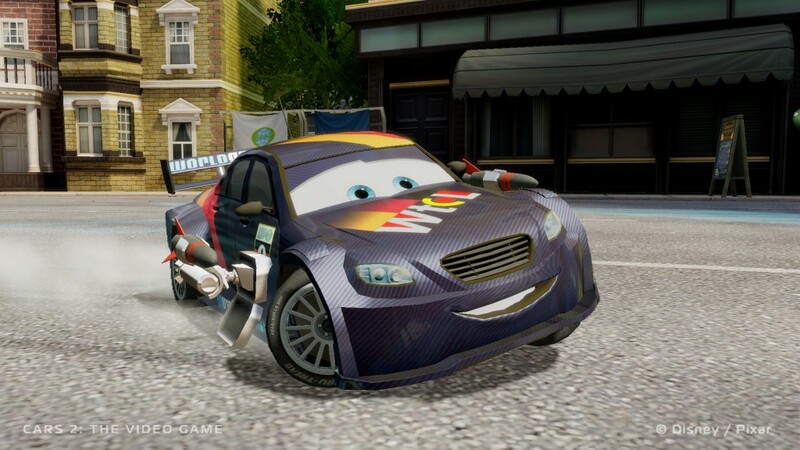 The best way to describe Cars 2: The Video Game is Mario Kart meets Twisted Metal. Taking a conventional arcade racing game approach and adding a plethora of spy gadgets at your disposal, what we have here is a combat racing game with all the speed, weapons deployments and evasive driving you'd come to expect from the genre. Your spy gadgets include oil slicks, missiles, machine guns, and EMP bursts, all designed to slow down the other racers as you speed towards victory. It features 15 different tracks and eight modes that range from traditional Battle Race Mode, to Attack Mode which has you cooperatively playing with your friends to hunt down and disable enemy AI cars, and Disruptor which is a variation of Capture the Flag where the goal is to scoop up a disruption in the middle of the battle arena and detonate it in the heart of your opponent's base to blow it up. There's also a mode called Hunter where you and friends are tasked with defeating wave after wave of minions in an arena with an enemy boss to face at the end. All competitive and cooperative gameplay is split-screen, as there is no online play, with Avalanche Software wanting gamers to play locally with friends and family. The core gameplay involves racing around the tracks performing tricks such as drifting around corners, driving backwards, propping your car up on two wheels, and crashing through blue and white signs to raise your turbo meter for some speed boost. Turbo meter juice can also be obtained by collecting All in All, the renewable fuel at the center of the film, ﻿﻿which is scattered along the race tracks. As your race you can also deploy a range of weapons to halt the progress of your AI opponents and gain the racing advantage. There will be more than 20 cars to choose from, with some additional DLC to be released later, possibly adding more of your favourite vehicles. Many of the voice actors who voice the characters in the movie are also lending their voice to the video game so expect from funny one-liners as you race. Each car controls differently based on stats such as top speed, acceleration and size.﻿ What's cool is that each character has their own unique dialogue as you race, and certain characters have specific one-liners based on their relationship with rival cars (e.g. Mater calls out Lightning McQueen as they encounter each other). To add a little more fun into the game, there's even a taunt button to mock your friends as you race past them to victory. 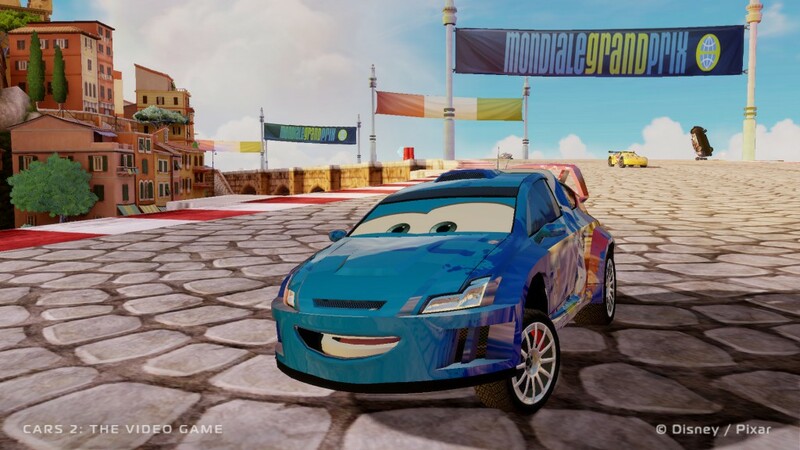 With a wide range of characters, race tracks, and modes, Cars 2: The Video Game is already shaping up to be a nice package. The characters are already looking lively and the tracks vibrant, even at this early stage. 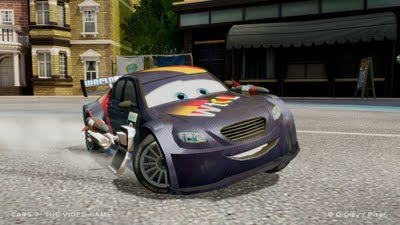 I thoroughly enjoyed Avalanche Software's take on Toy Story 3, and so I have high hopes for the final version of Cars 2: The Video Game. 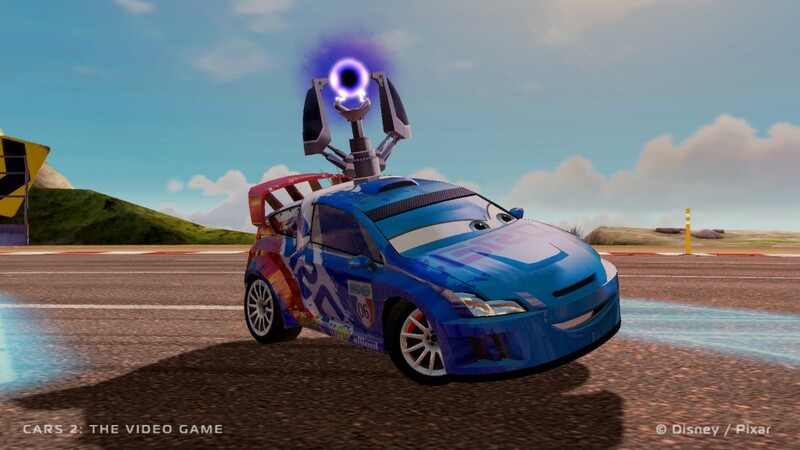 Clearly, Disney Interactive have put the Cars franchise in good hands. I'm eagerly looking forward to zipping around and blasting my friends with my spy gadgets in about three weeks time.